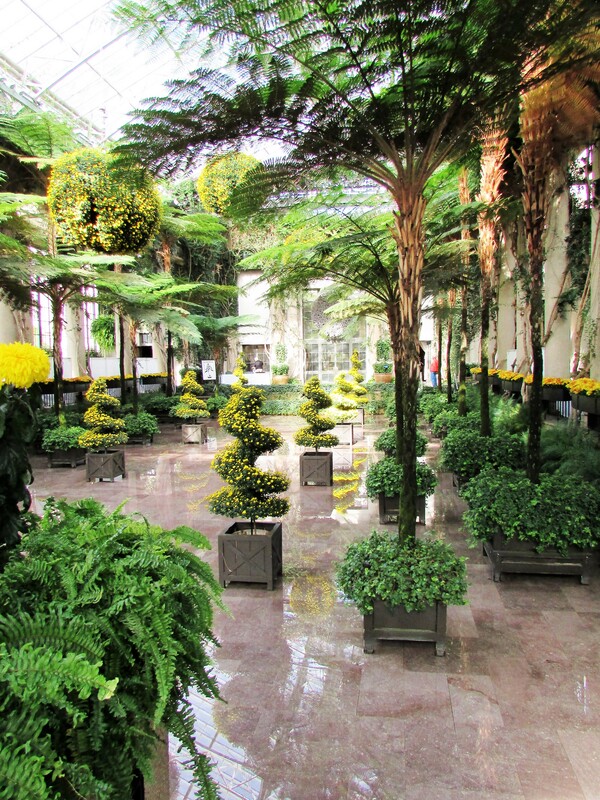 The acacia passage is one of my favorite areas in the Longwood Garden Conservatory. This beautiful vignette is just one of the many plant displays that will pique your interest during the Orchid Extravaganza. 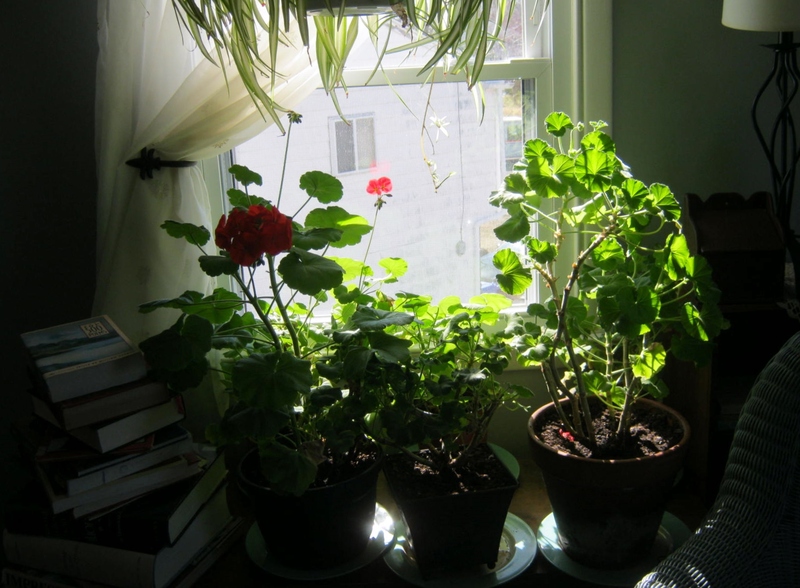 If I was the gardener in charge of the area, the care, placement and upkeep of all the plants would be daunting. To cope, and do the best job possible, I would remind myself of wise counsel a good friend once gave me, “Concentrate on one problem at a time.” This sage advice works for so many aspects of life. We get into trouble when we overextend ourselves and try to take care of too many problems at one time. Aha, you say, all my problems must be taken care of now, I have no choice. Yes, sometimes choosing just one doesn’t work, but in that case, I remind myself of the verse I began the post with, and I cast the burden on the Lord. What a promise to cling to in the midst of our busy, problem-filled lives. He will sustain me, He will sustain thee. God bless you on this Sabbath Day. 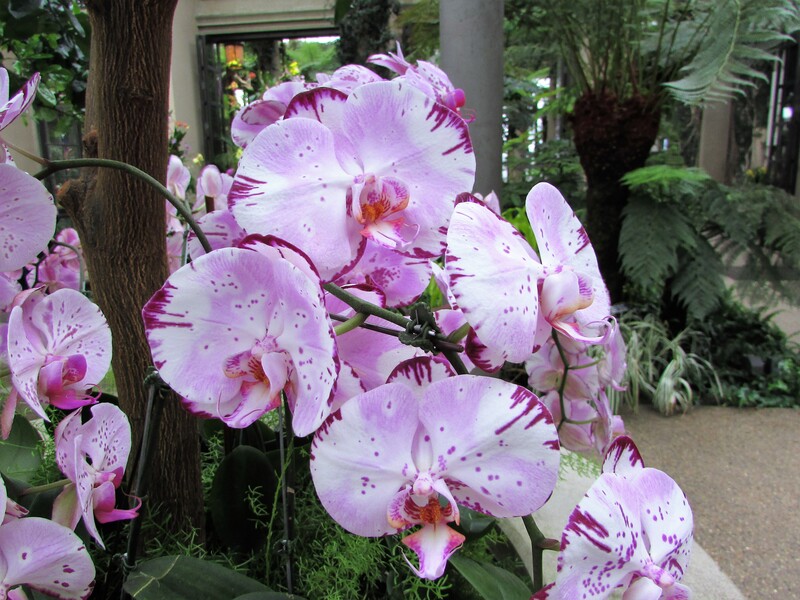 The orchids are part of Cee’s Flower of the Day. 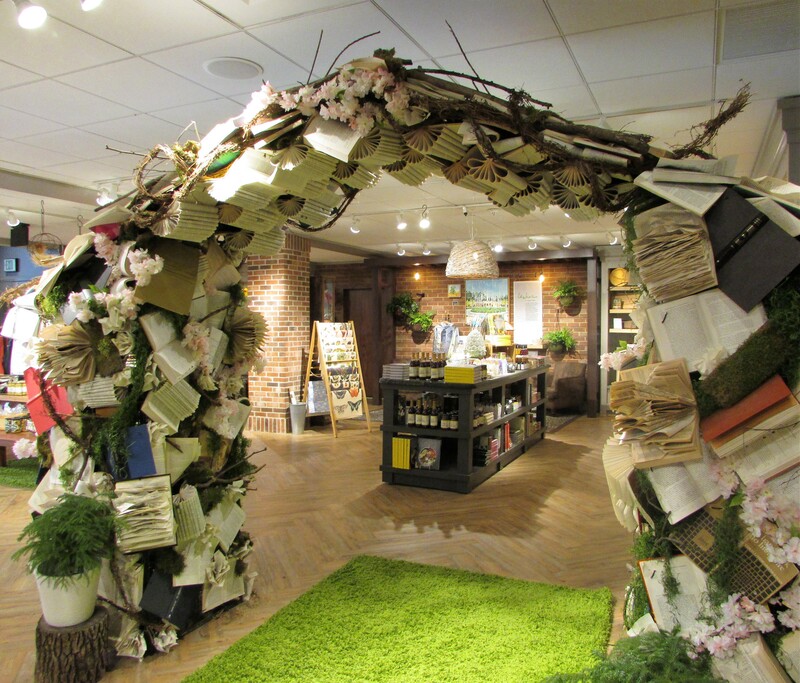 On a recent trip to Longwood Gardens we admired this arch created with books folded into interesting shapes and flowers. The base appears to be created with gnarly branches and moss. 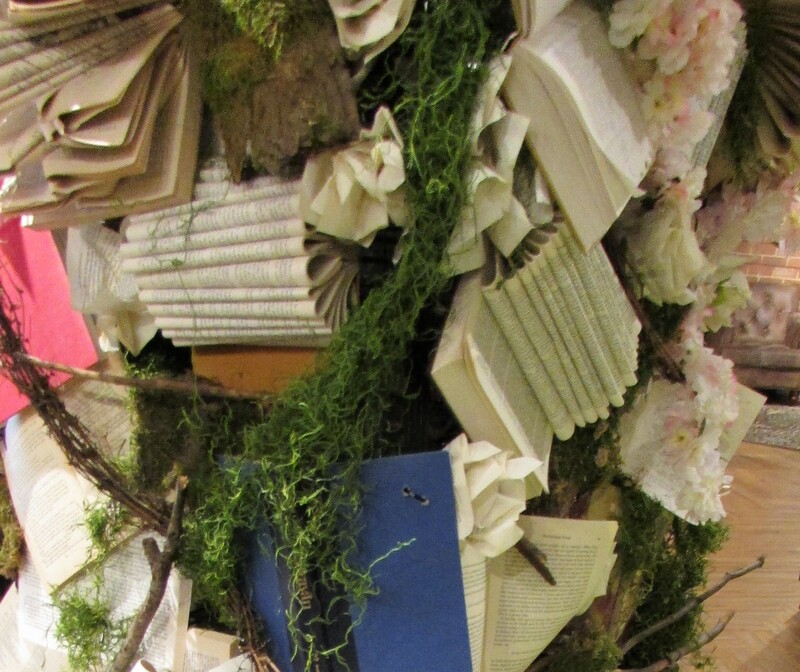 As a lifelong lover of books, I have mixed feelings about using books for crafts, although I have done so on numerous occasions. I enjoy cutting phrases out of books to use on greeting cards. 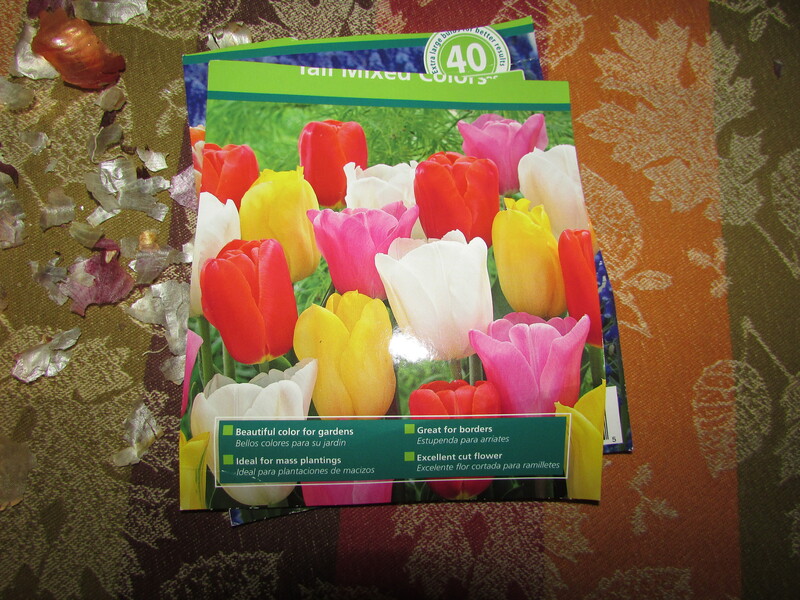 You can see a sample and how-to on using these cut out phrases on The Flower Ark/Tulip Greeting Card. 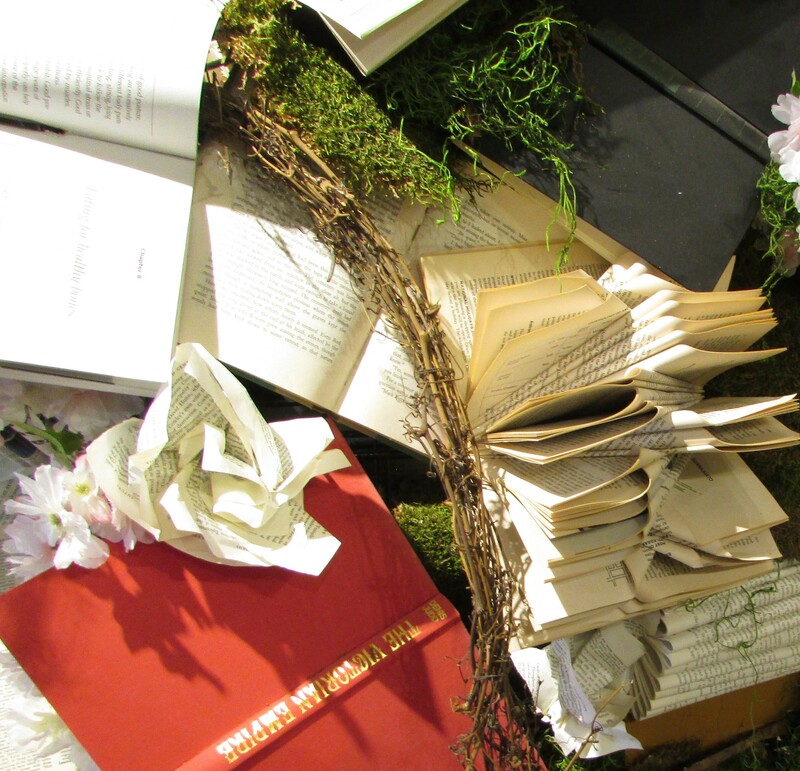 I might try to make a few of these book page flowers for a Valentine’s Day Centerpiece. 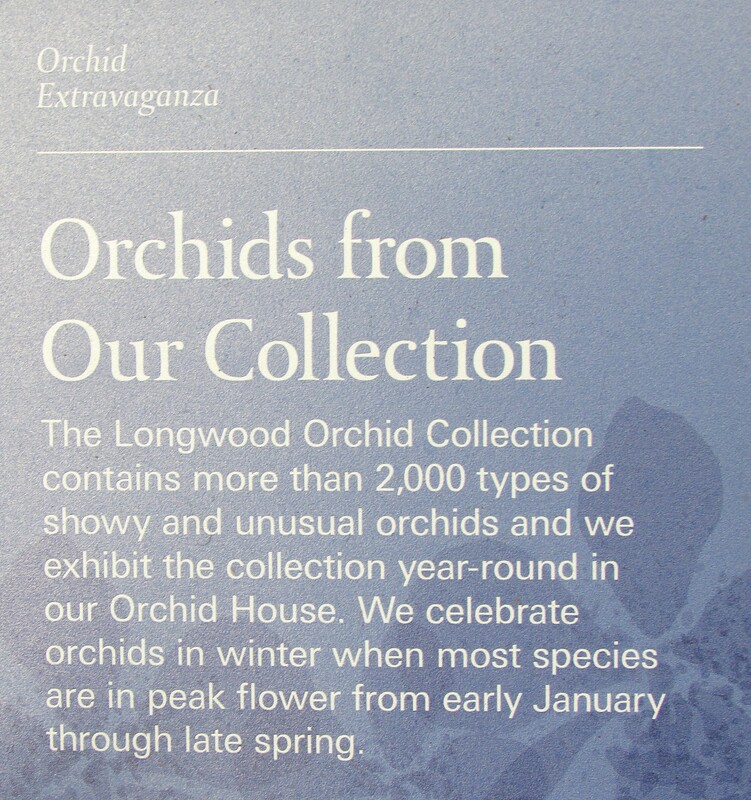 Each year I visit Longwood Gardens when the Orchid Extravaganza is on display in the conservatory. 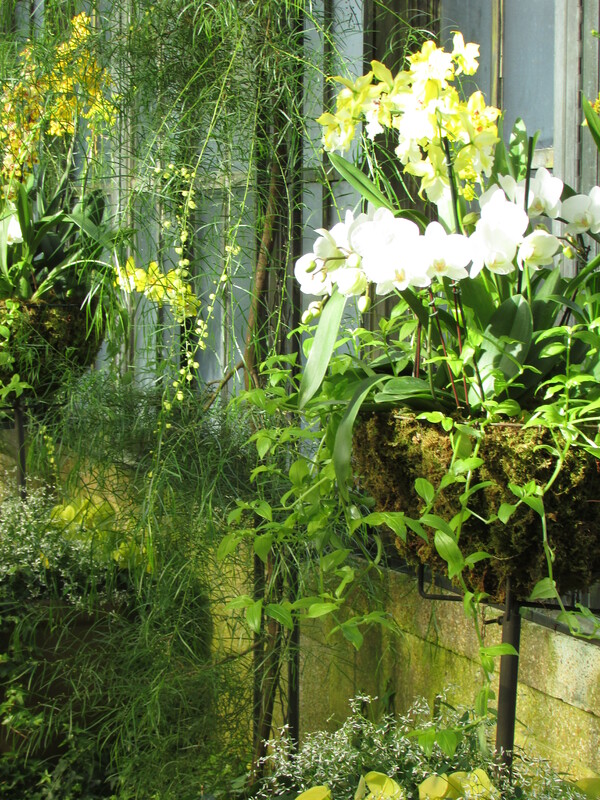 The Longwood gardeners create a masterpiece of color and form with the orchids grown in their greenhouses. 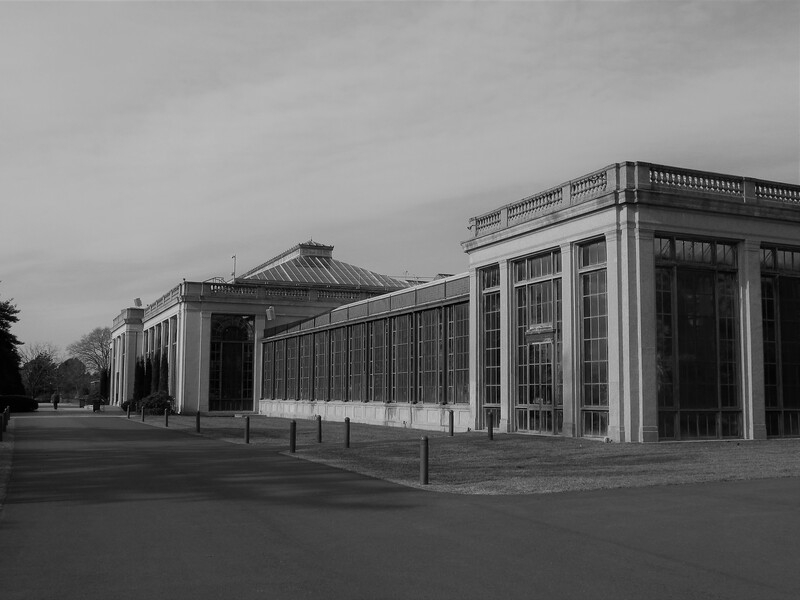 The conservatory built in 1921, elicits admiration as you turn the bend of the paved path and view it in the distance. 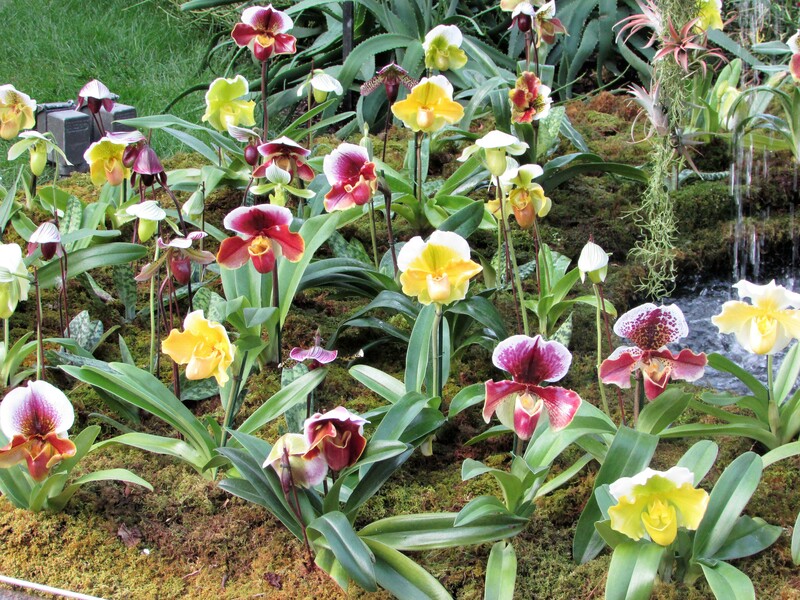 An inviting multitude of paphiopedilum, one of my favorite orchids, greeted us as we entered the side door. 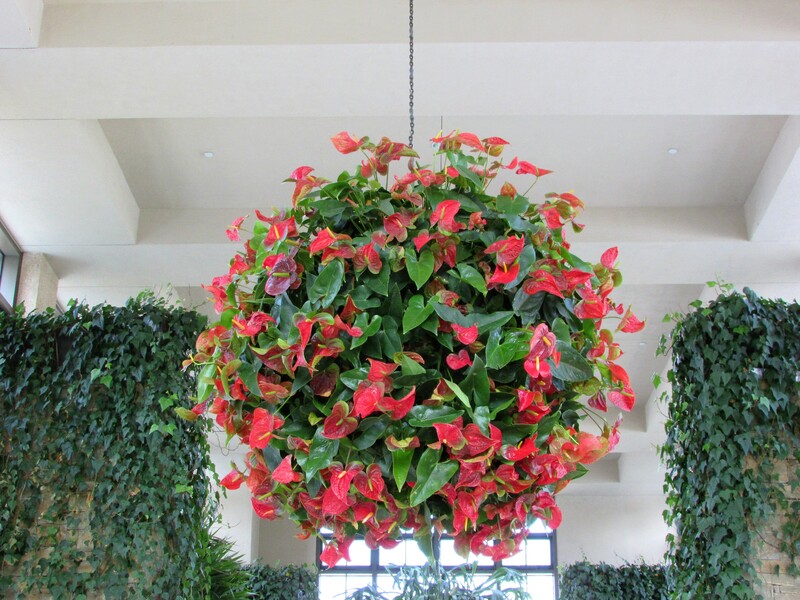 Those who plan the displays do a great job creating a balance between flowers, foliage and trees. 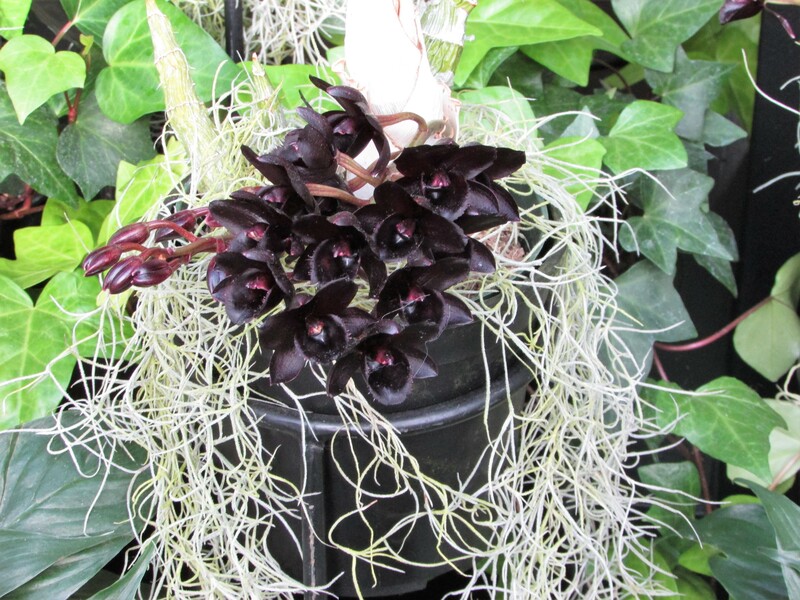 The rainbow colors sometimes hold a surprise too…these orchids, in reality are a deep purple, but appear to be a true black on first glance. 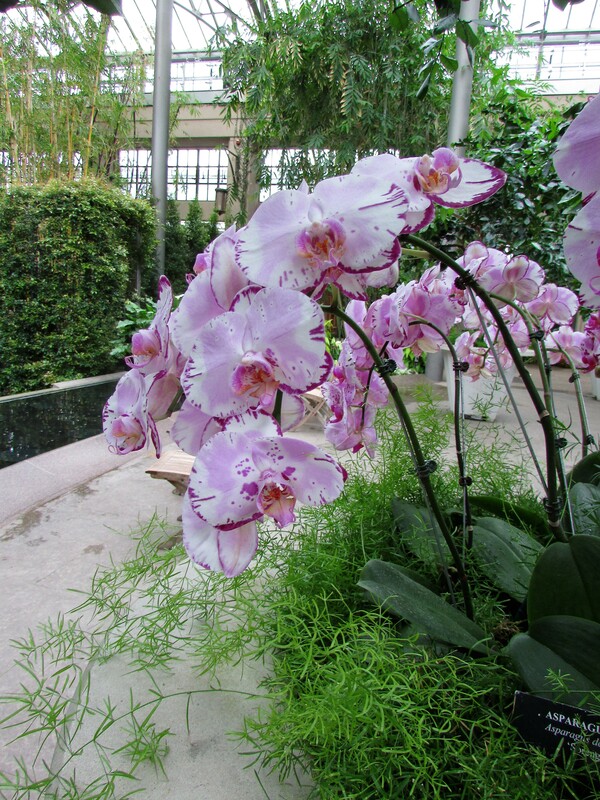 If orchids aren’t your flower of choice there are hundreds of additional plants on display. 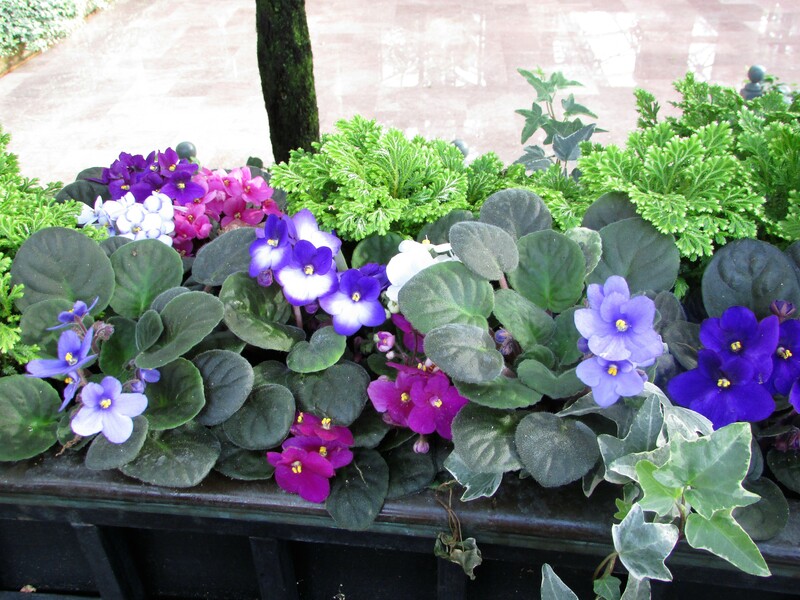 One of my favorites were the African Violets in garden boxes bordering one of the exhibition halls. 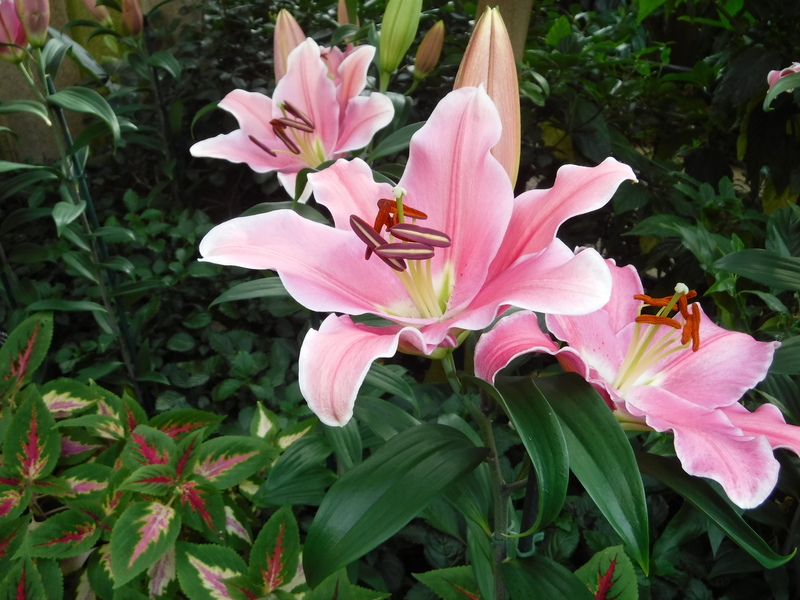 We also admired the lilies, filling many of the nooks and crannies of the conservatory in a rainbow of colors. Part II of our recent trip will be posted tomorrow. 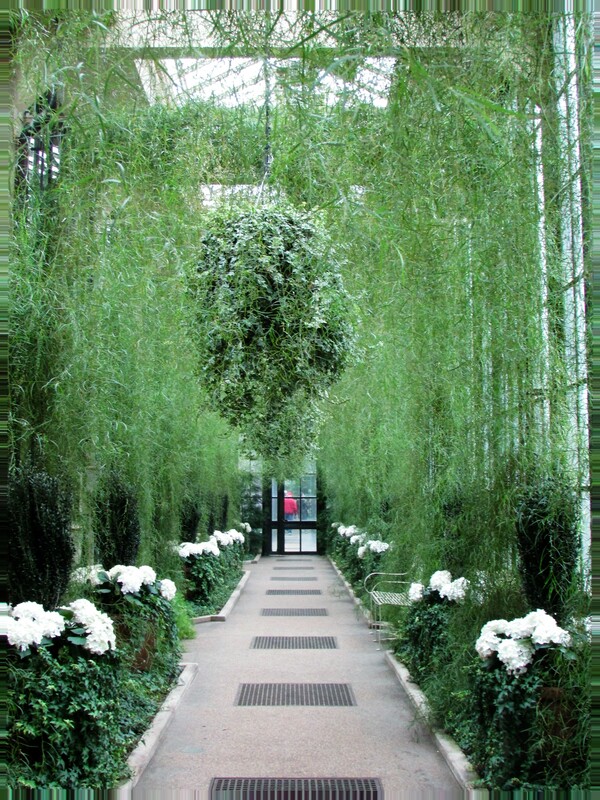 This photograph, taken amid the glorious trees of Longwood Gardens in Kennett Square, Pennsylvania, is part of Sunday Trees. 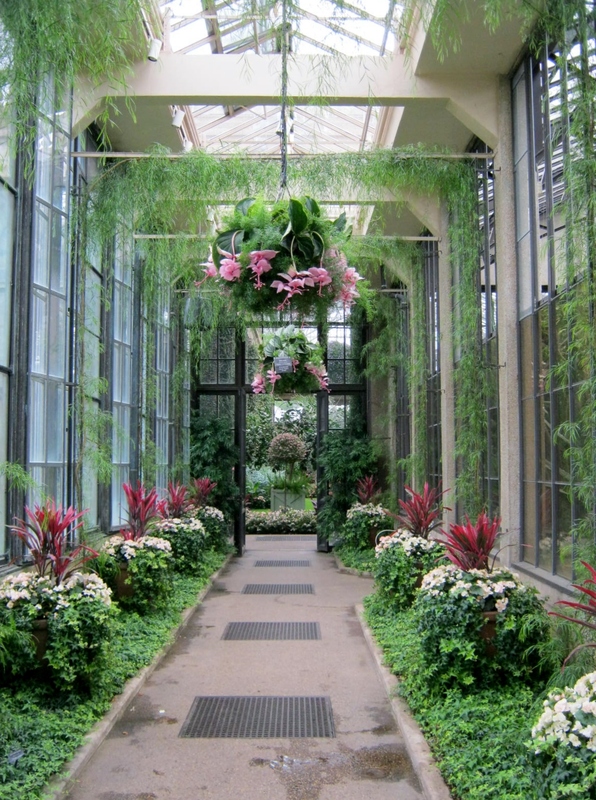 One of my favorite getaway places – Longwood Gardens, Kennett Square, PA. This post is part of Norm’s Thursday Doors – August 9th. 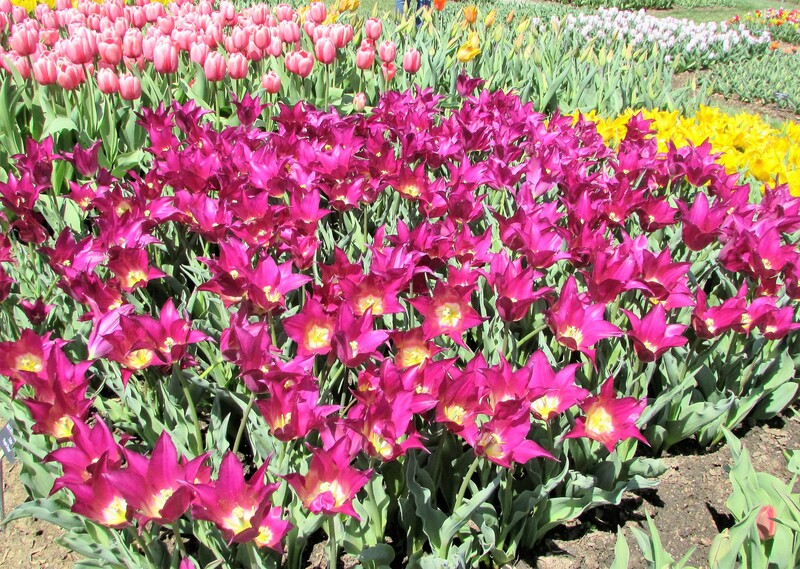 Somewhere within the glorious colors on the petals of this variety of orchid, there must be the shade…Razzle Dazzle Rose, today’s Color Your World – 120 Days of Crayola color. These orchid photographs were taken in the Longwood Garden’s Conservatory, March 2017. 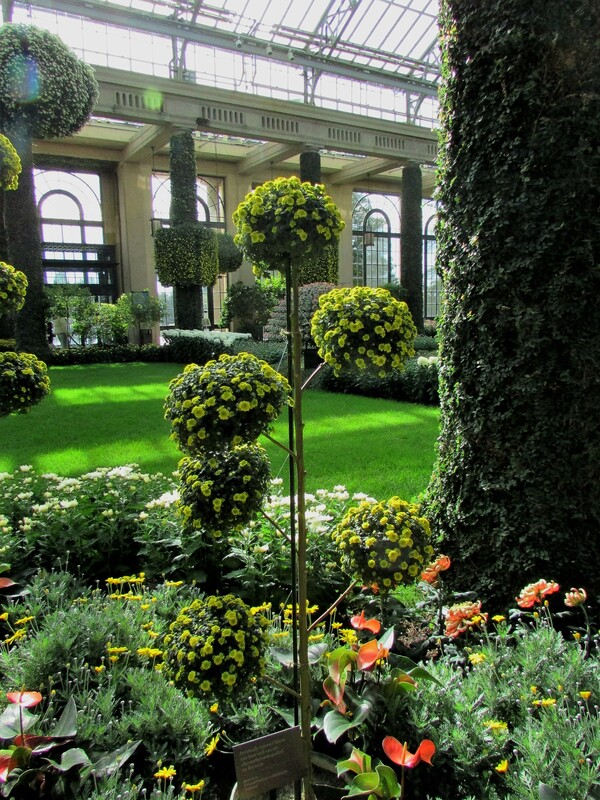 In our last excursion to Longwood Gardens we noticed this shrubby bush growing in the conservatory. The marker beneath it identified the plant as Leptospermum laevigatumas, or as it is better known, Australian Tea Tree. 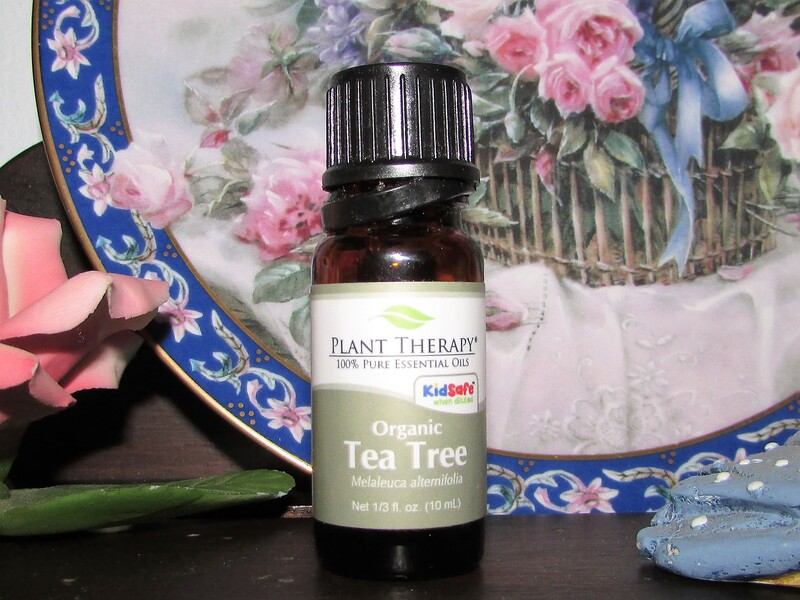 As with all essential oils care must be taken when using tea tree oil. I always admire the staghorn ferns in the fern passage at Longwood Gardens. 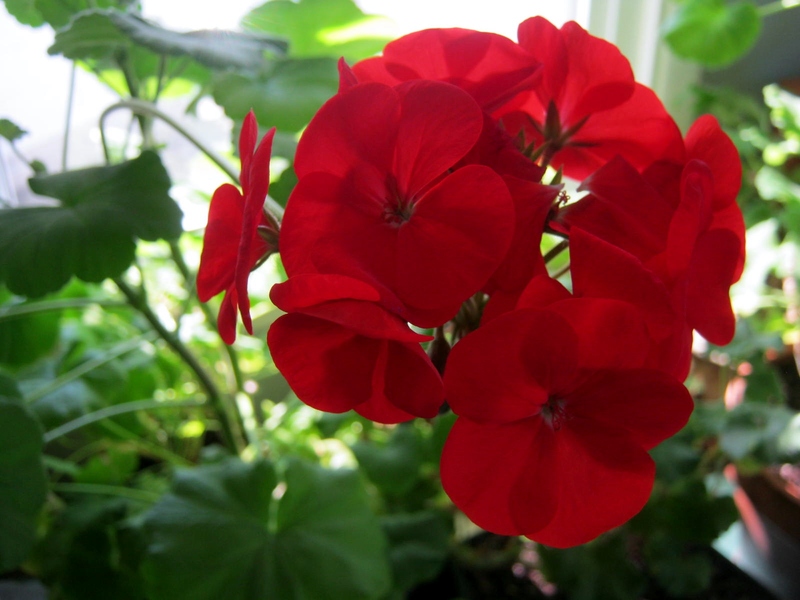 I’ve grown one of these beautiful plants for about six months in an ordinary garden pot. After a recent visit to the gardens, I was inspired to mount and display it properly. 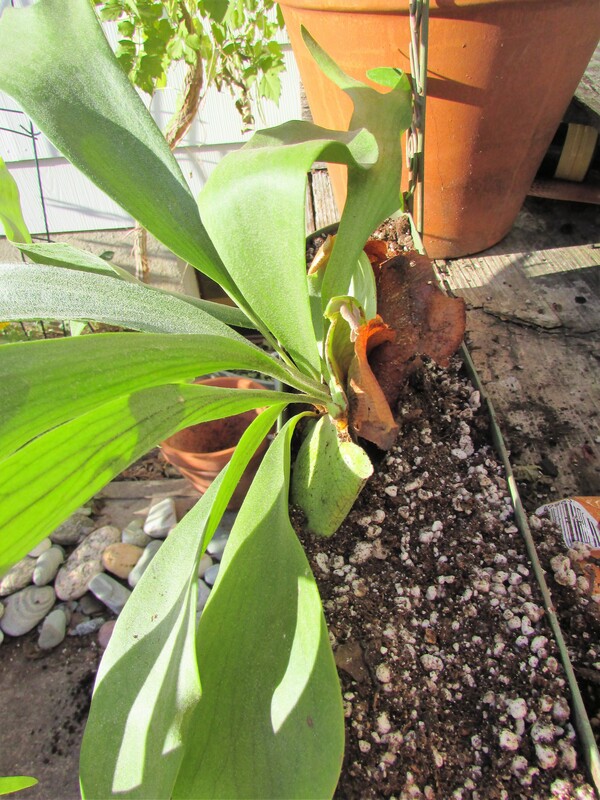 Staghorn ferns do not need a lot of compost. 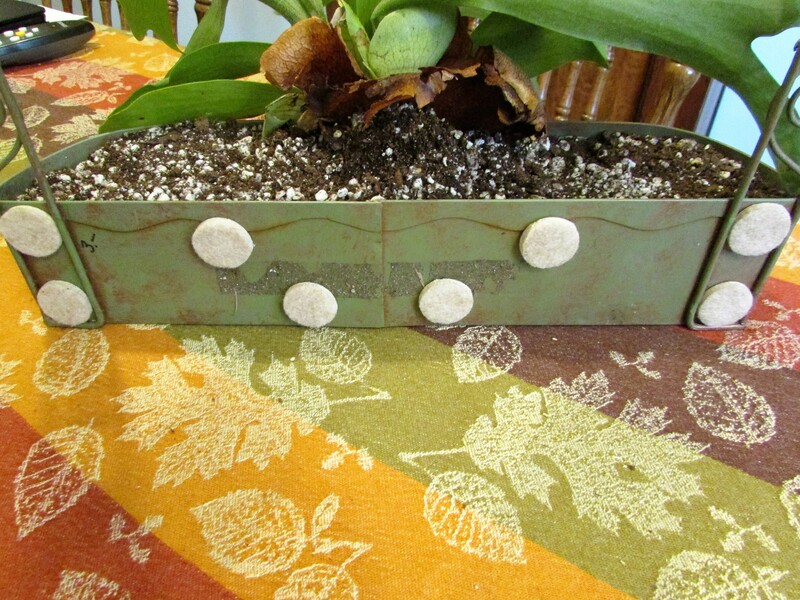 I used soil amended with vermiculite and perlite to lighten the weight. 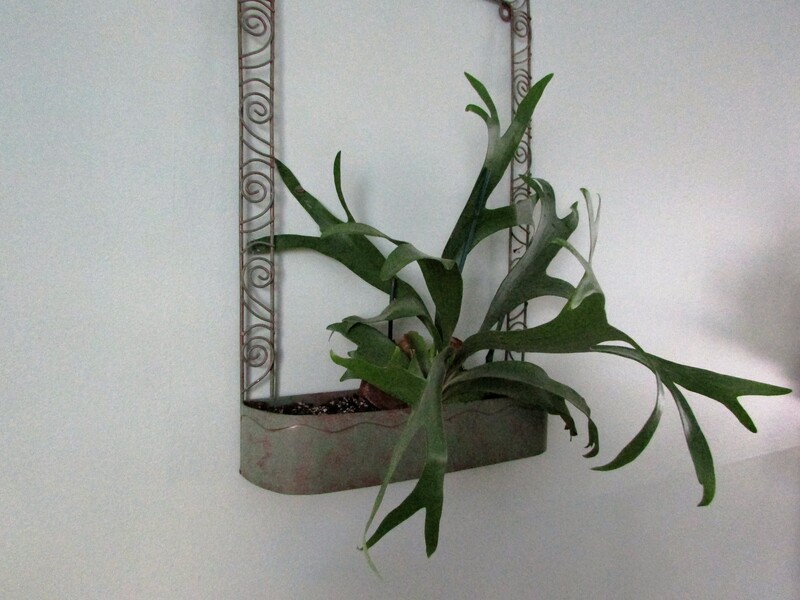 I planned on displaying my fern on my living room wall, but didn’t want to use a natural basket or piece of wood due to possible water stains. 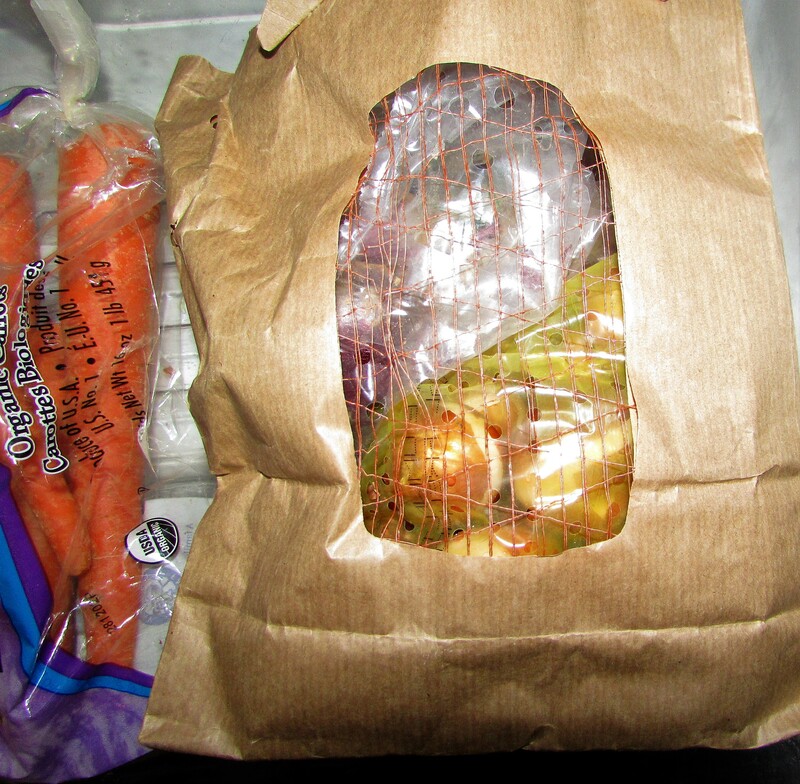 I found a good alternative in a wire basket that I had on hand. 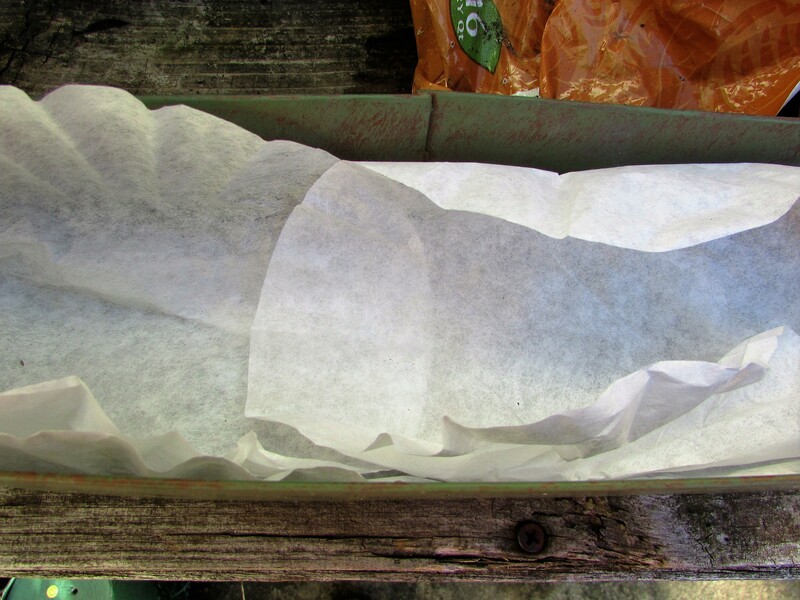 My first step was to line the bottom with coffee filters to keep the soil in bounds. 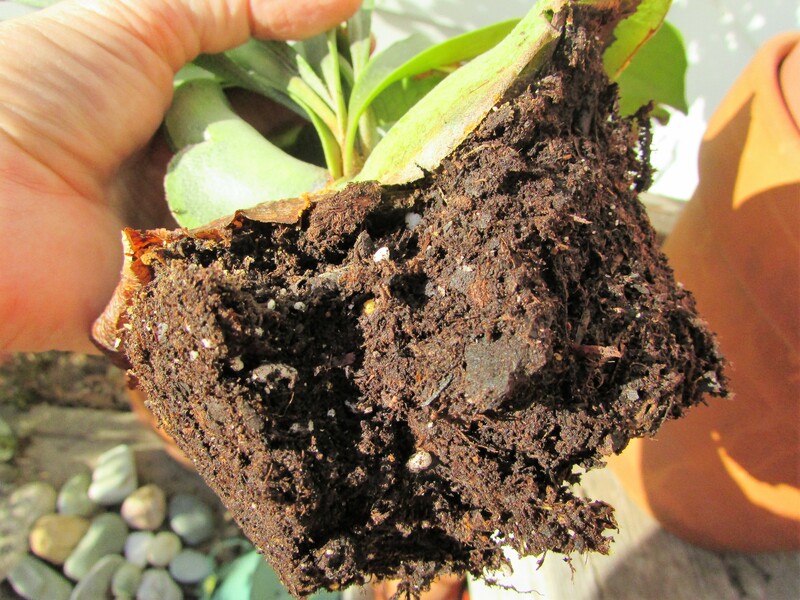 The root system is not large in comparison to the rest of the plant. It fit perfectly in the small narrow basket. 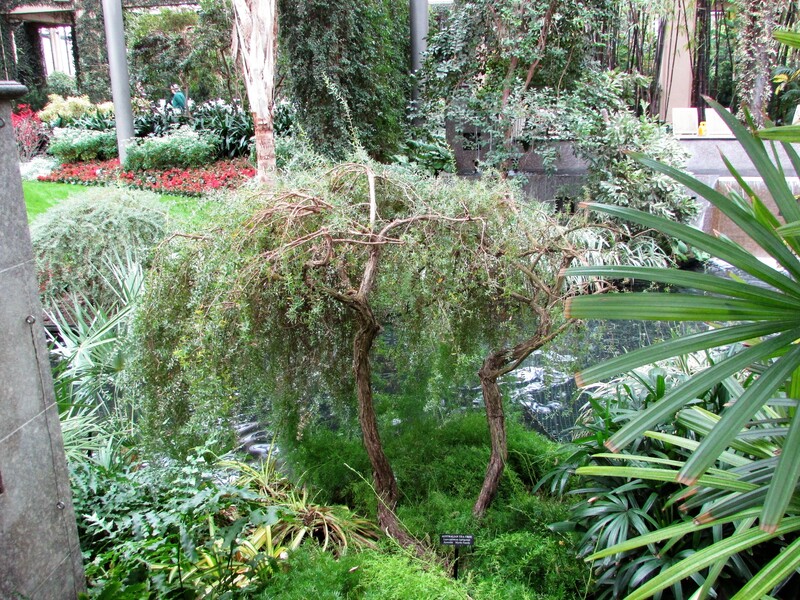 I planted the fern at an angle, allowing the fronds to cascade over the sides. Chair leg pads were a good choice to keep the basket off of the wall. These are self-stick and only took a moment to apply. I was pleased with the display after it was hung on the wall. I will update the progress as the fern grows. 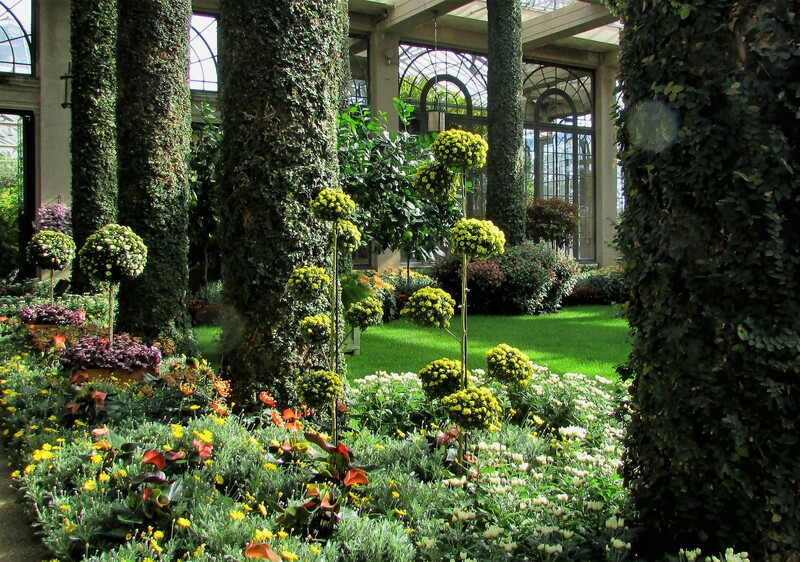 Longwood Gardens in Kennett Square, Pennsylvania, is having its yearly Chrysanthemum Festival. 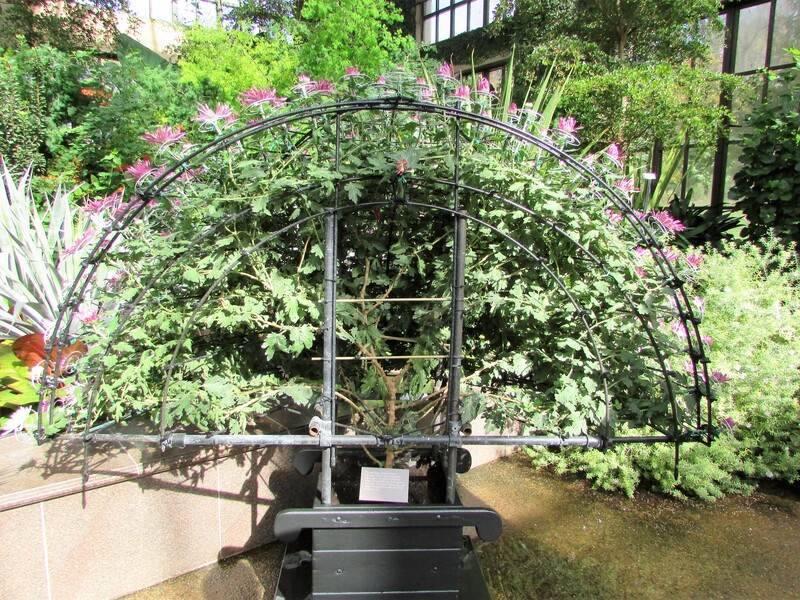 As always, the conservatory is filled with beautiful flowers and amazing feats of training the chrysanthemums to grow into unique shapes. Here’s a close-up of one of the techniques they use. There are shapes of all kinds to marvel over and enjoy. 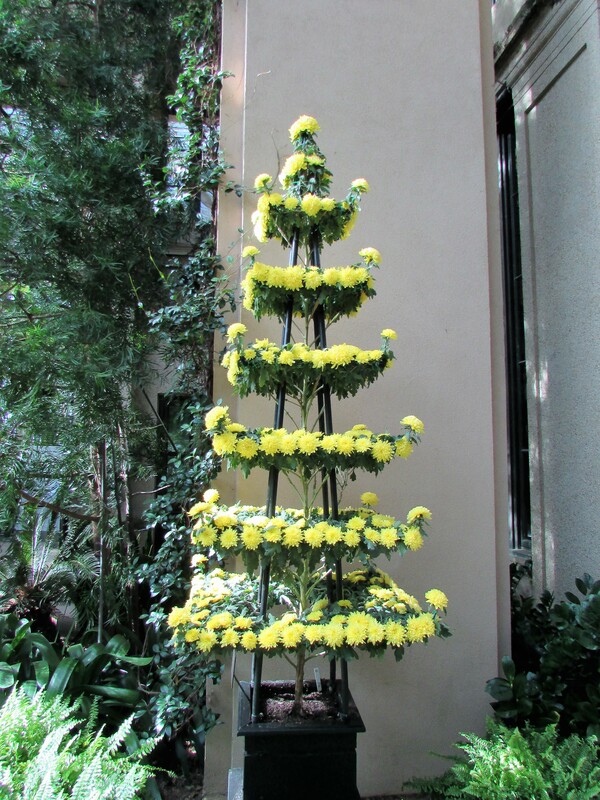 Most of these are created with only one chrysanthemum plant. Amazing! 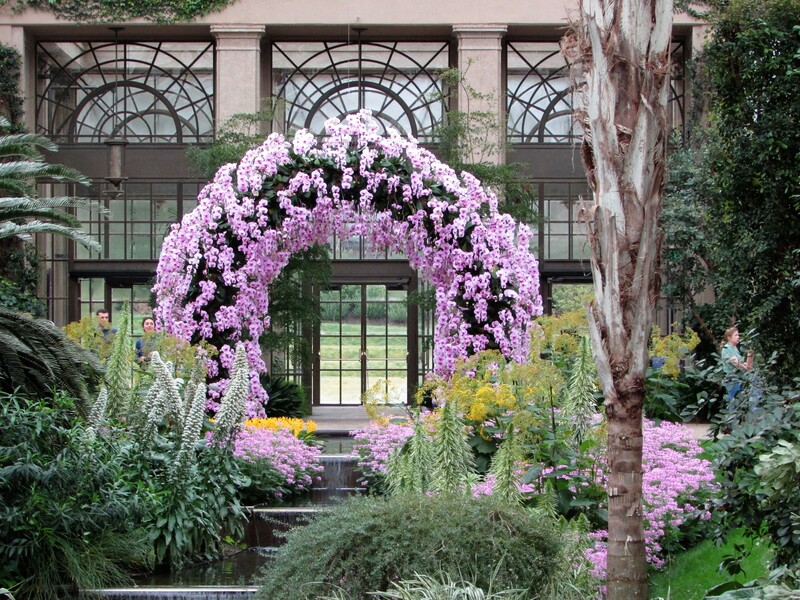 Whatever the season, Longwood Gardens has something outstanding to enjoy. 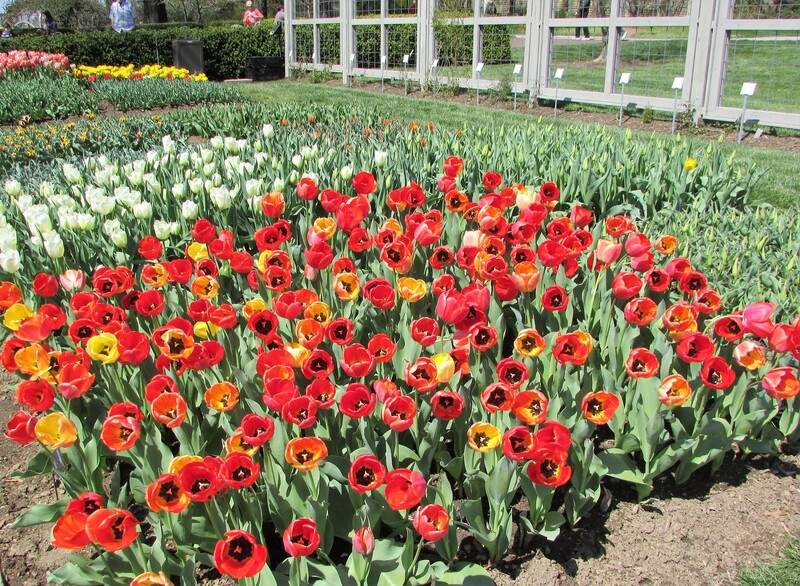 It’s tulip time at Longwood Gardens in Kennett Square, Pennsylvania. 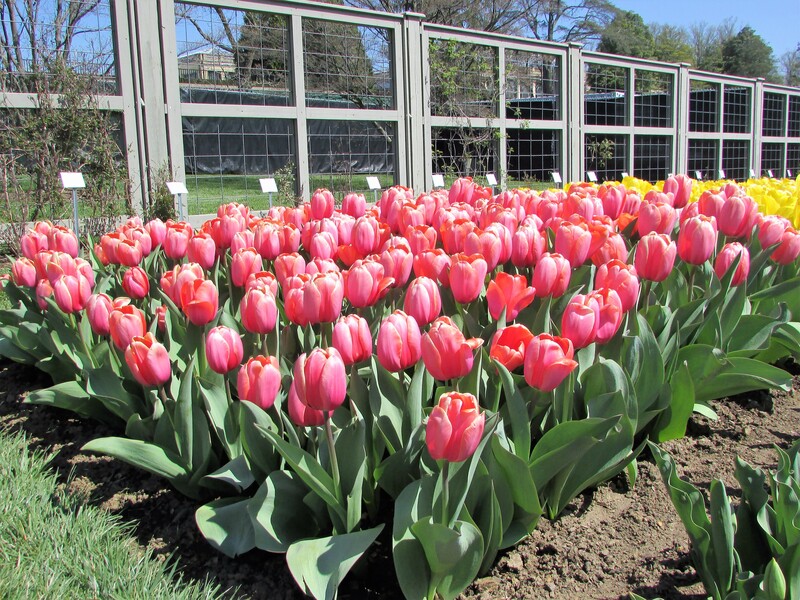 Tulips come in a wide array of colors and dazzle the eye in mass plantings in the Longwood garden beds. This bright purple perfectly displays the “Vivid Violet” of today’s Color Your World – 120 Days of Crayola Challenge. 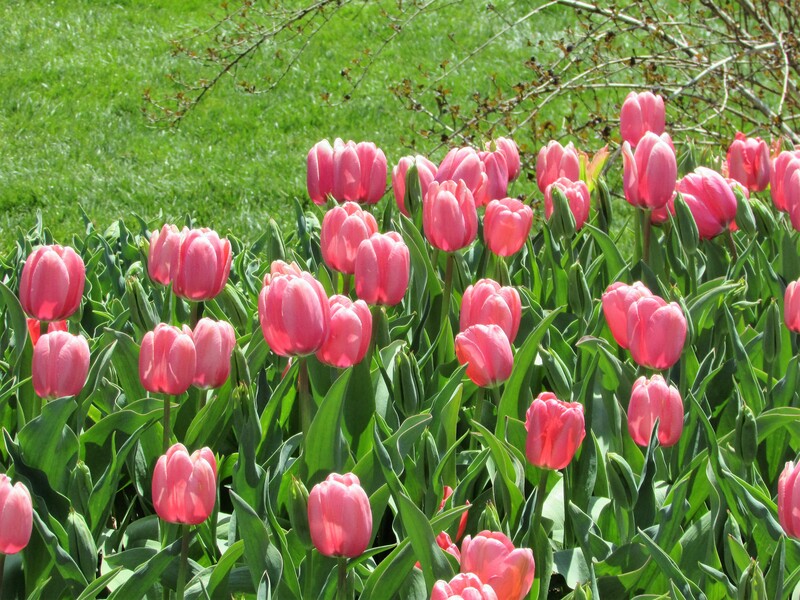 My favorites are the coral-pink variety. 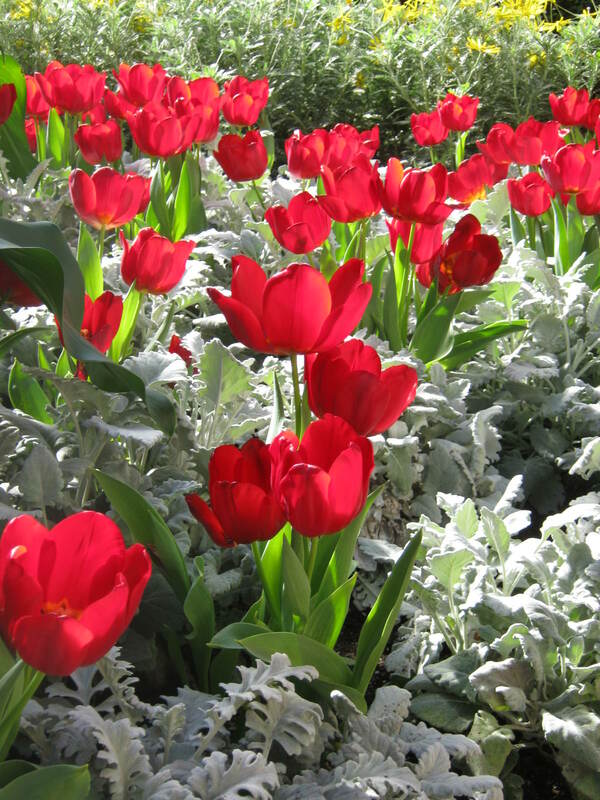 They are beautiful planted in abundance, but I prefer to zoom in on a smaller group and enjoy the beauty of the sun’s rays shimmering through each petal. 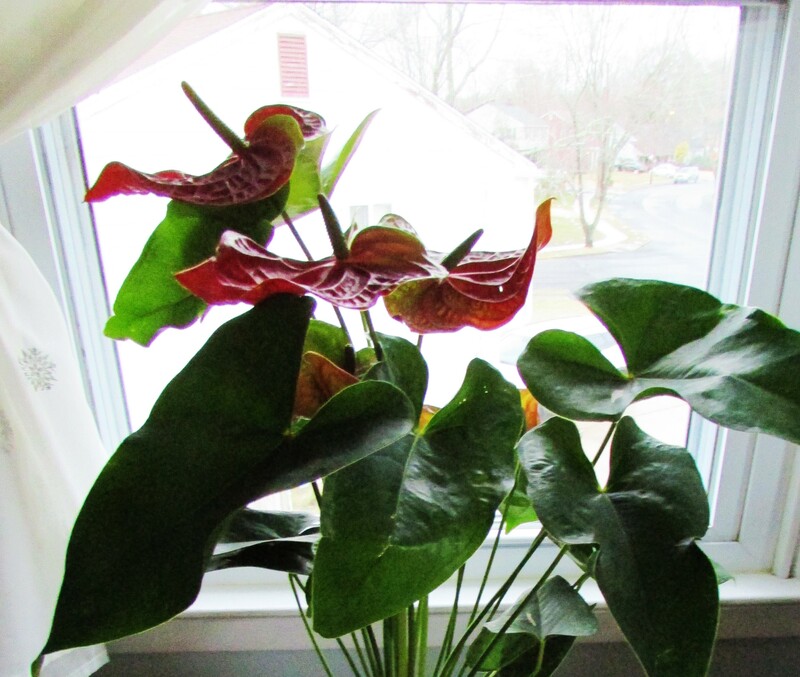 Winter Joy is standing beneath this enormous display of anthuriums. 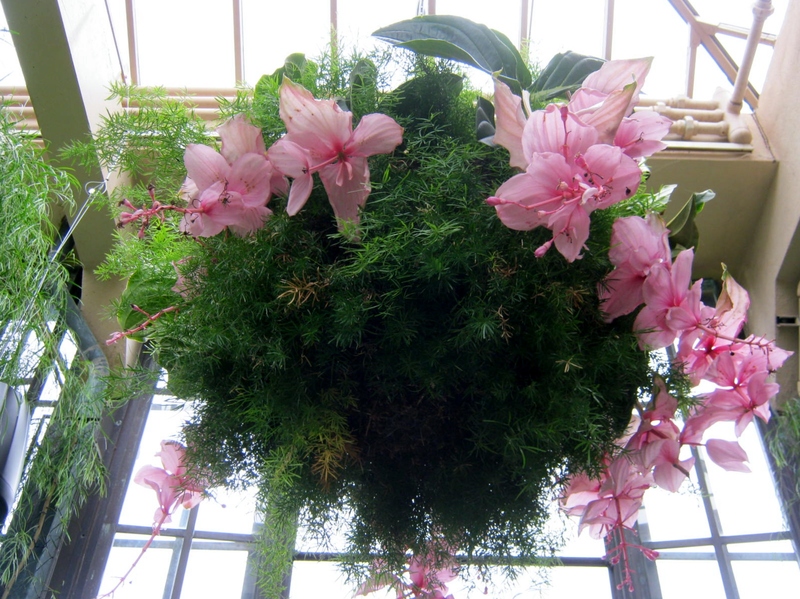 The basket of tropical blooms is hanging from the ceiling of the Longwood Gardens Conservatory in Kennett Square, Pennsylvania. In the midst of winter, what a blessing it is to have this lovely garden within an hour’s drive of my home. An extra dose of winter joy awaited me as I browsed in the visitor center gift shop. 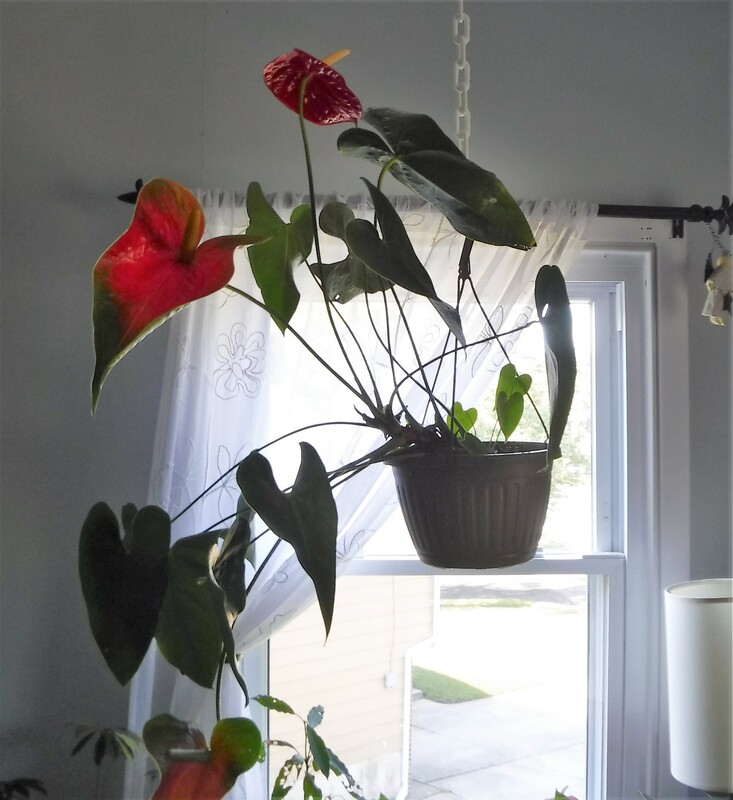 The same anthuriums, probably grown in overabundance for the display, were on sale for a fantastic price…$6.50 for an 18 inch plant covered in bloom. JOY! 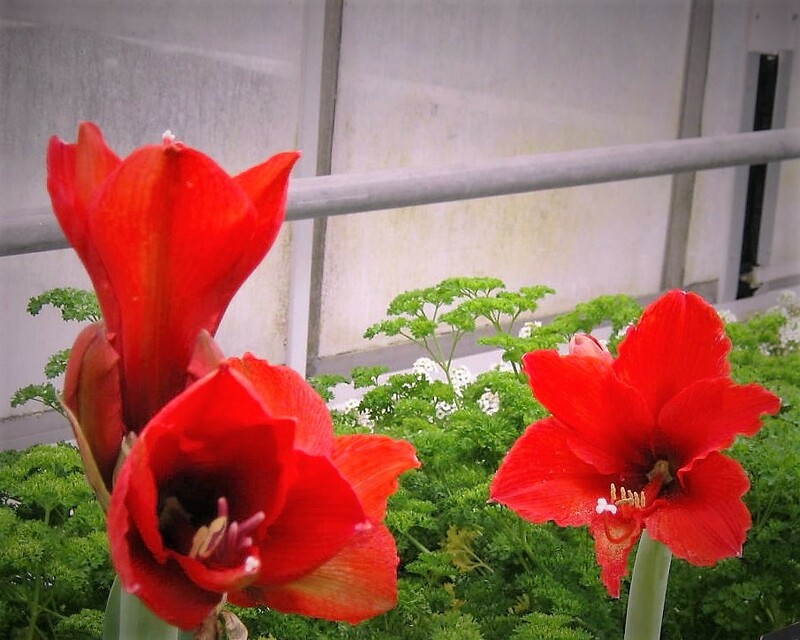 Amaryllis blossoms opening in the Longwood Garden Conservatory. When I think of grids I think of conservatories. 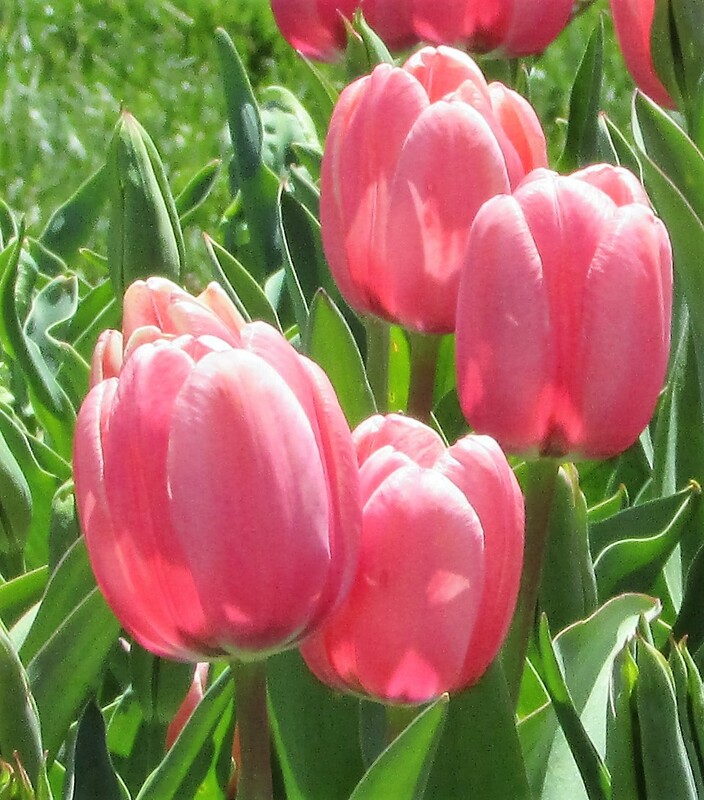 My favorite public garden is a perfect subject for this week’s Daily Post photo challenge. 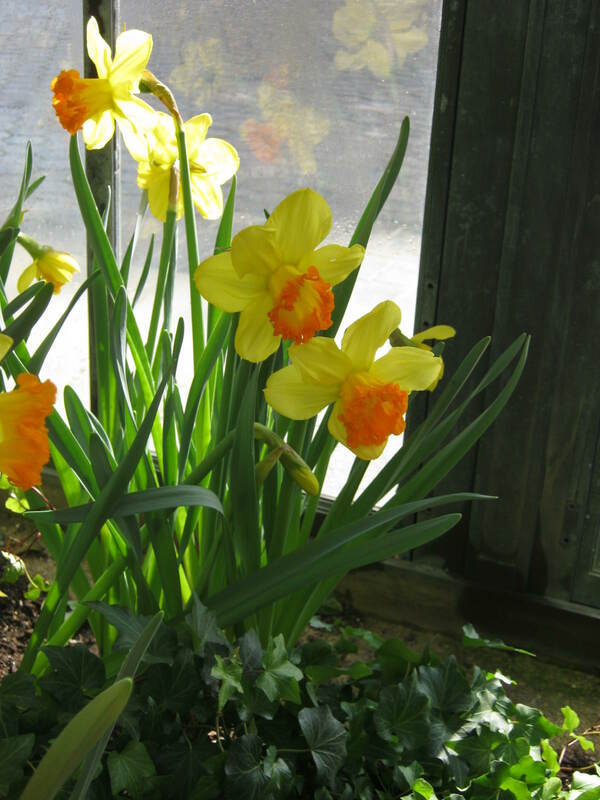 Most often, the flowers and plants are the stars of my visits to Longwood Gardens in Kennett Square, Pennsylvania. This post features the bones, or the grids, that hold the thousands of glass panes in place. You will find grids and grates wherever you look in the Longwood Gardens conservatory. 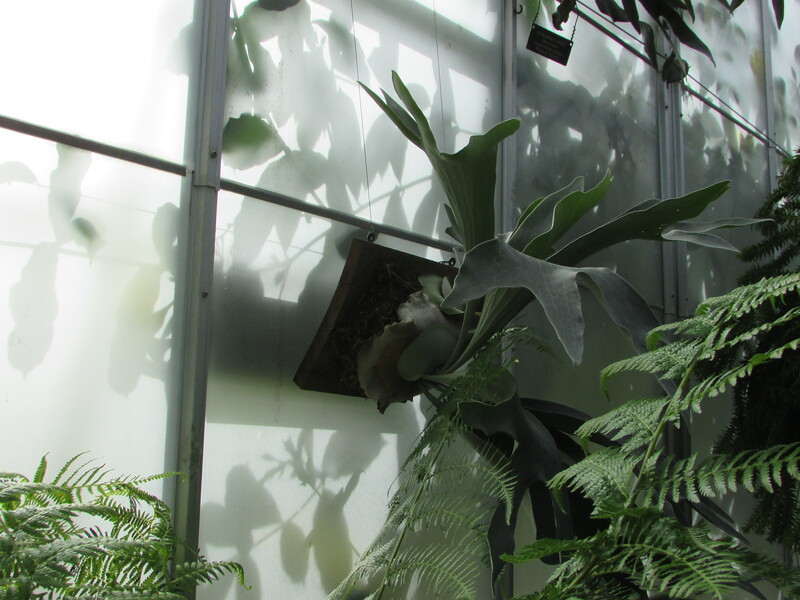 The fragility of the flowers and foliage is protected by the strength of the metal, while the glass panes let in the life-giving light. The view looking up reveals even more grids and glass. Grids are used outdoors also as a support for vines and other plants. 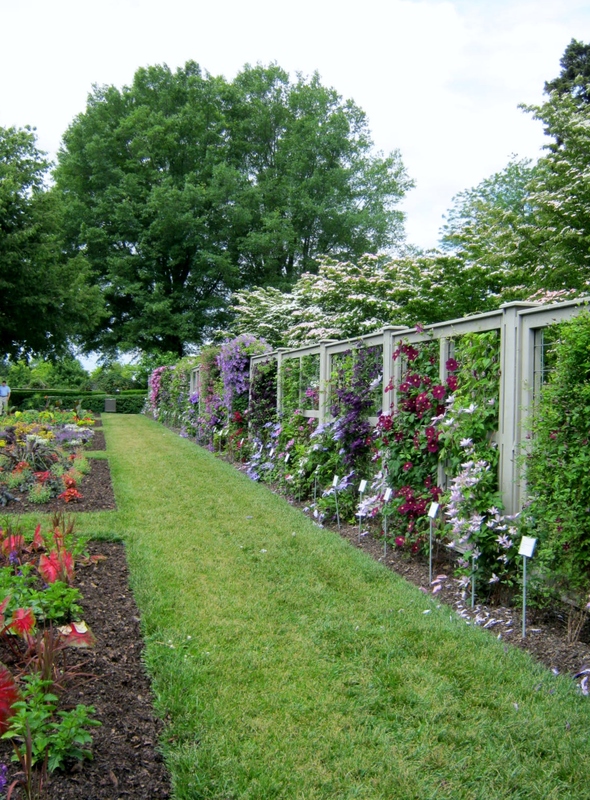 This is a row of spectacular clematis vines that were on display this year. 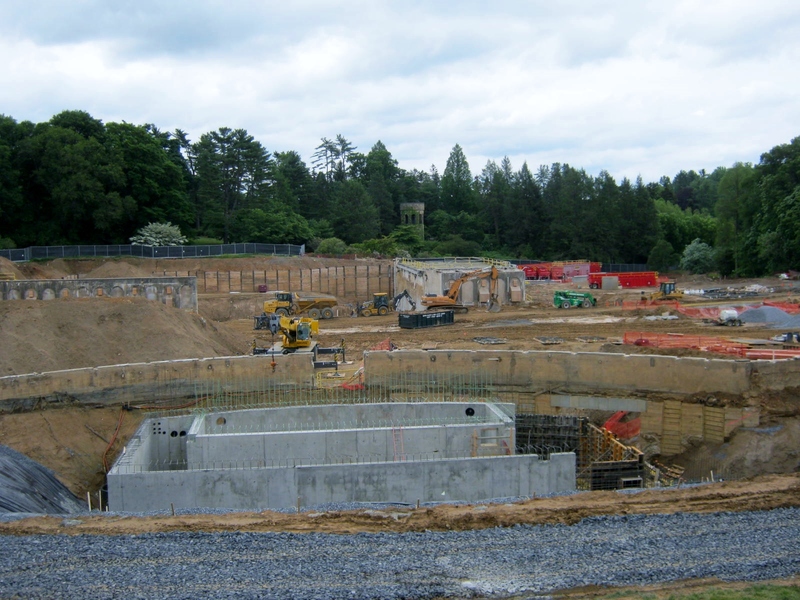 Steel grids and cement are the base for the reconstruction of the fountains that is going on at this time. 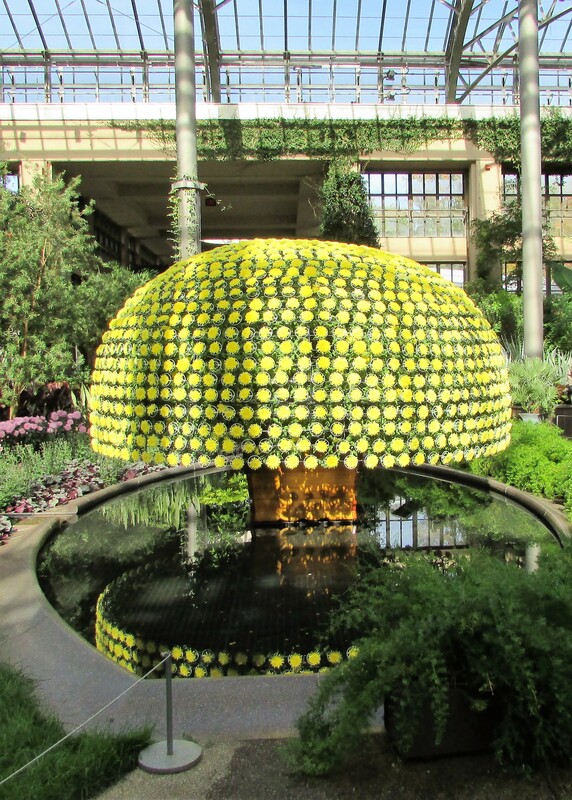 Take a look at the Online Fountain Exhibit at Longwood Gardens. Photograph – What’s the Rest of the Story? In response to The Daily Post’s writing prompt: “Half and Half.”This week, let’s split our photos in two. I enjoyed taking part in this photo challenge. Here’s a bit of a game, guess what the other half of my photographs might be, and then scroll down and see how close you were to the correct answer. 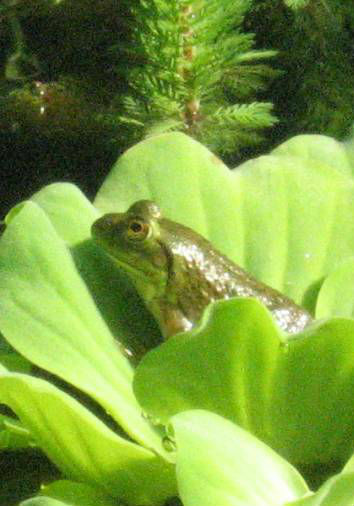 What is missing in the photo of a frog? Why his frog buddy of course! What will you find if you follow this railroad trestle bridge across a Southern New Jersey salt marsh? A terrific waterway for crabbing. What are these two ladies creating that requires so much concentration? 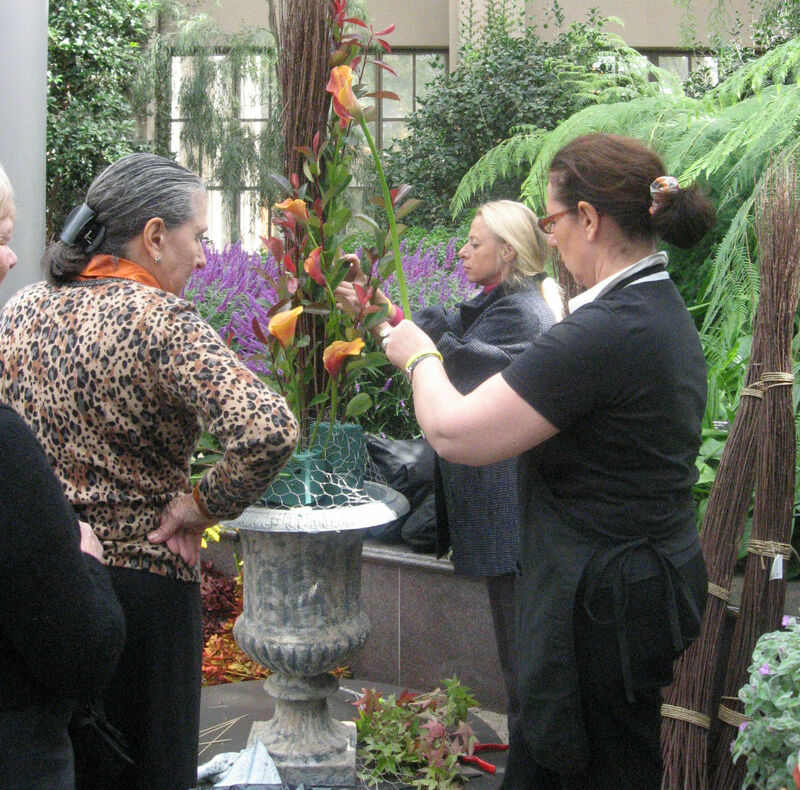 They are creating a floral masterpiece in the Longwood Gardens Conservatory. 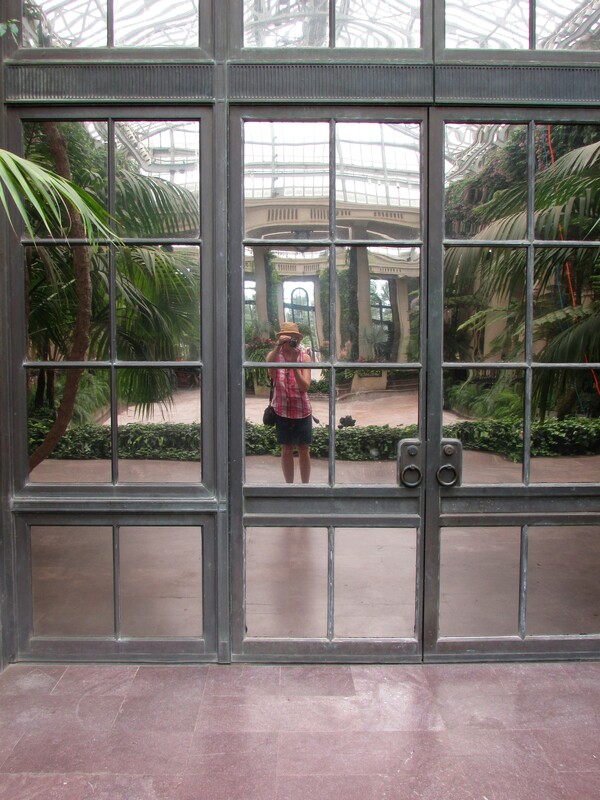 On a fine June day this year, my husband and I visited Longwood Gardens. We enjoyed walking around the outdoor water gardens. 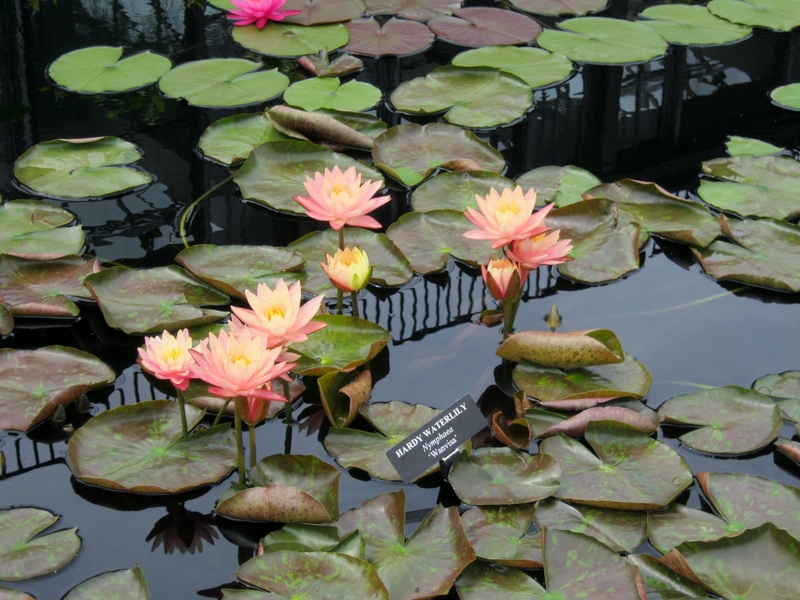 The water lilies grown at Longwood are spectacular. 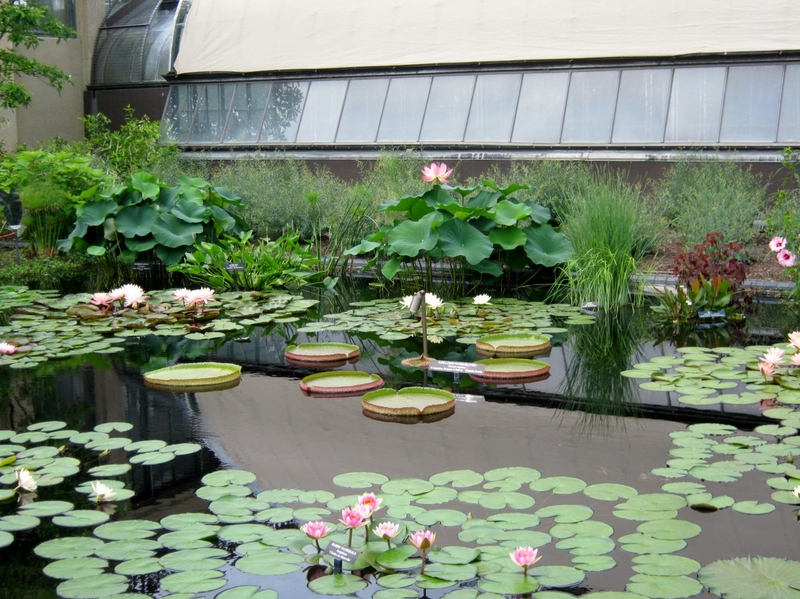 The large platter-like water lily pads are called Giant Victoria Water Lilies. The lily pads in the photograph are only beginning their growth. By the end of the growing season they will be six feet across. 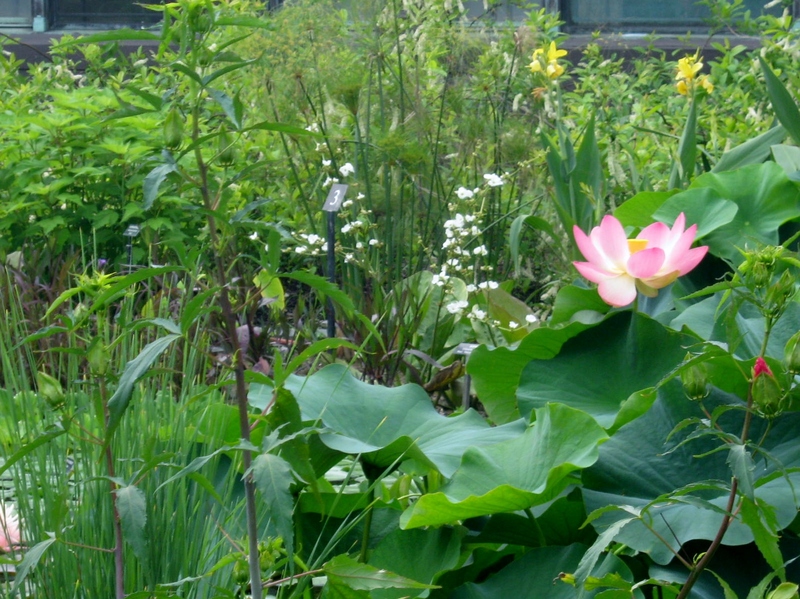 While we admired the water gardens I noticed that the pond had cannas plants growing in the water. (The cannas are in the distance, the yellow plants in the background) Up to that point I didn’t know cannas would grow in water. 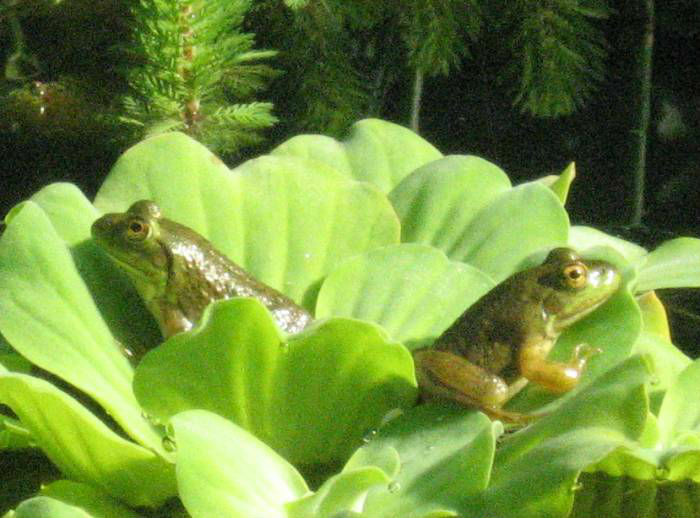 I immediately envisioned them in my pond, and happily, found one on sale at a local fruit stand. 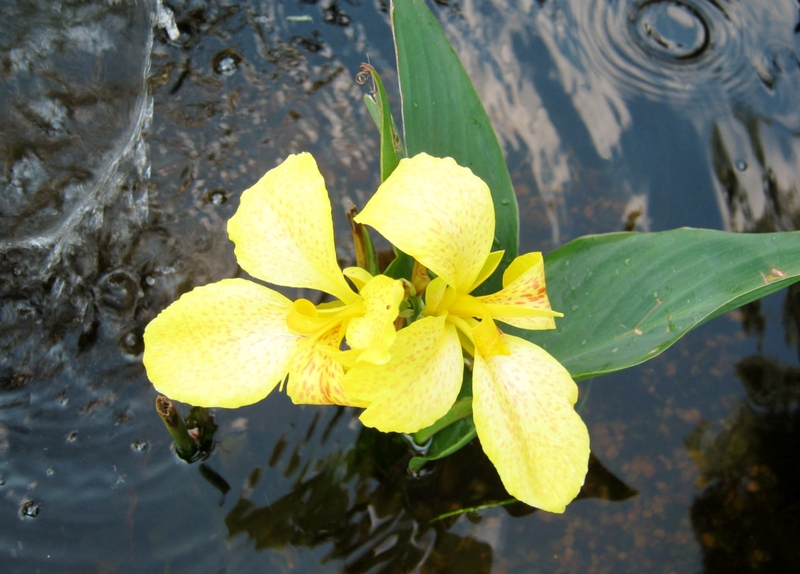 My garden pond canna blooming. 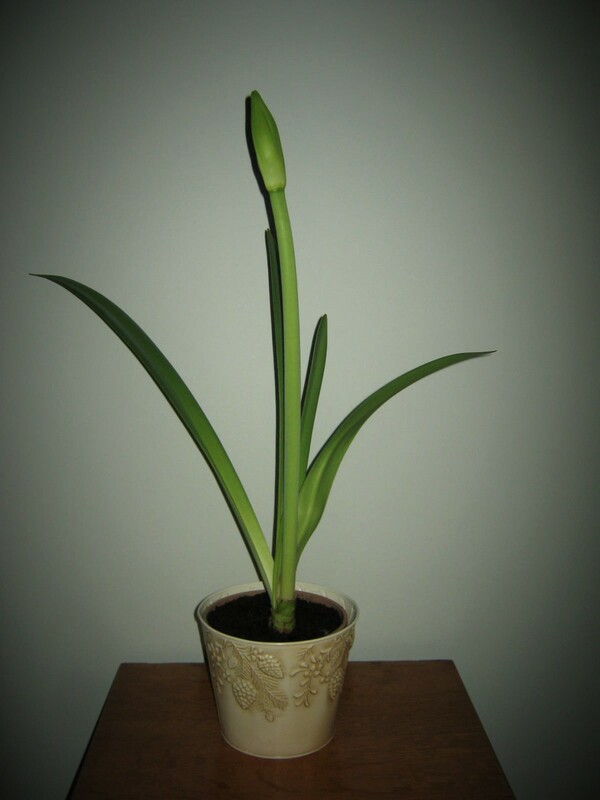 I took the canna home, weighed it down with rocks, and was delighted that all seemed well. 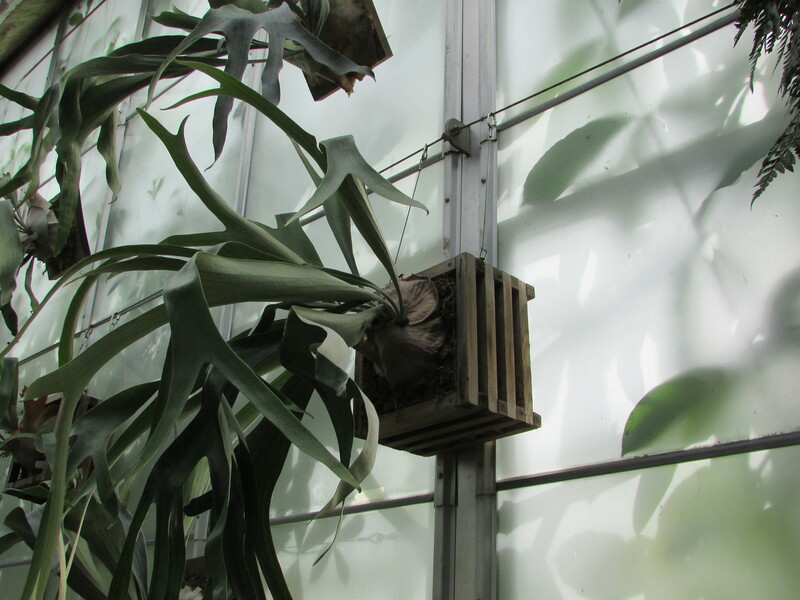 My smile of success soon disappeared when I checked later in the day and found that the plant had overturned, fouling the water with dirt and perlite. I scooped out what I could and took the canna out of the water. I found all the dirt had floated away. I decided to give the canna a try anyway and completely filled the pot with small and medium rocks. My canna has thrived. 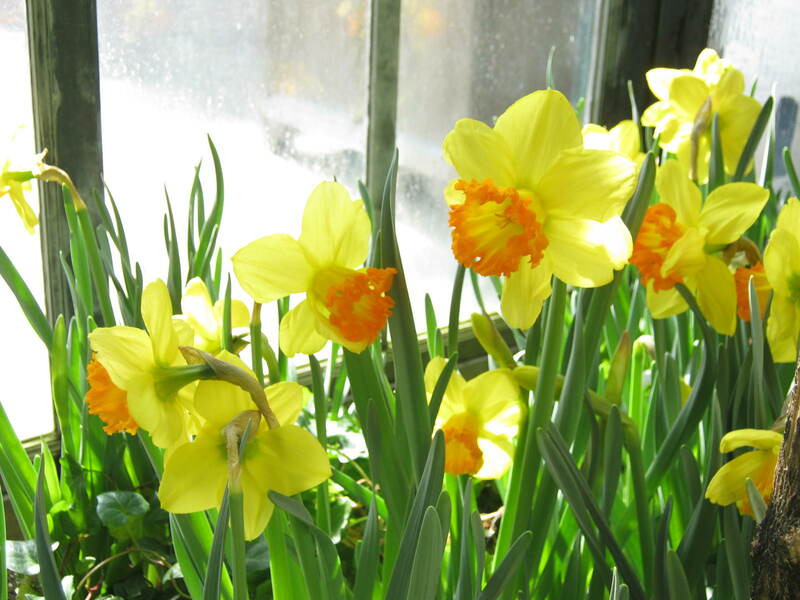 The yellow flowers have been blooming non-stop for about two weeks now. 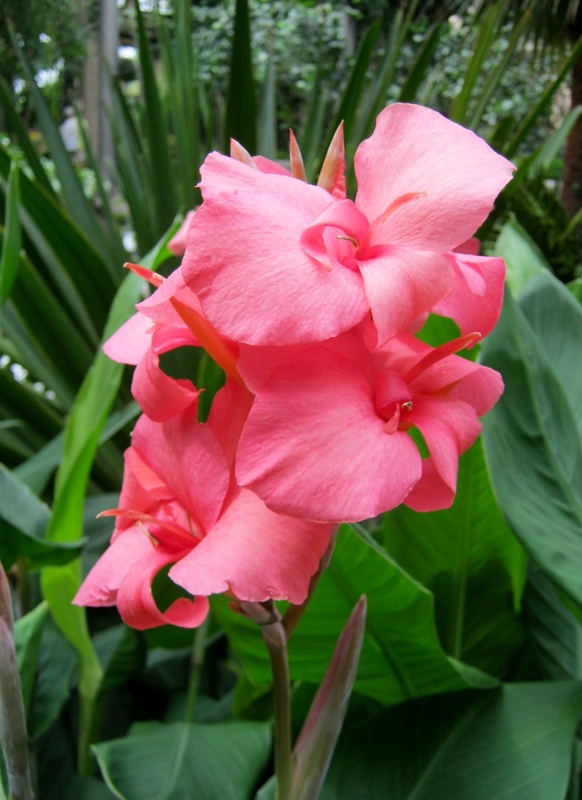 If you have a water feature in your yard, consider planting a canna plant. 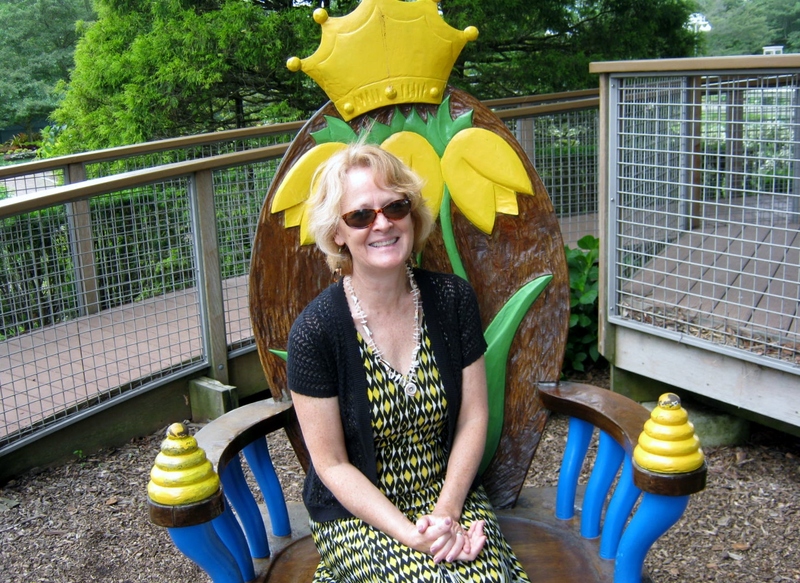 That’s me sitting on the Longwood Gardens Queen Bee Throne. Seriously, I did not plan my outfit and sunglasses to match the throne so perfectly. Funny! I must be a bee at heart…if not a queen. 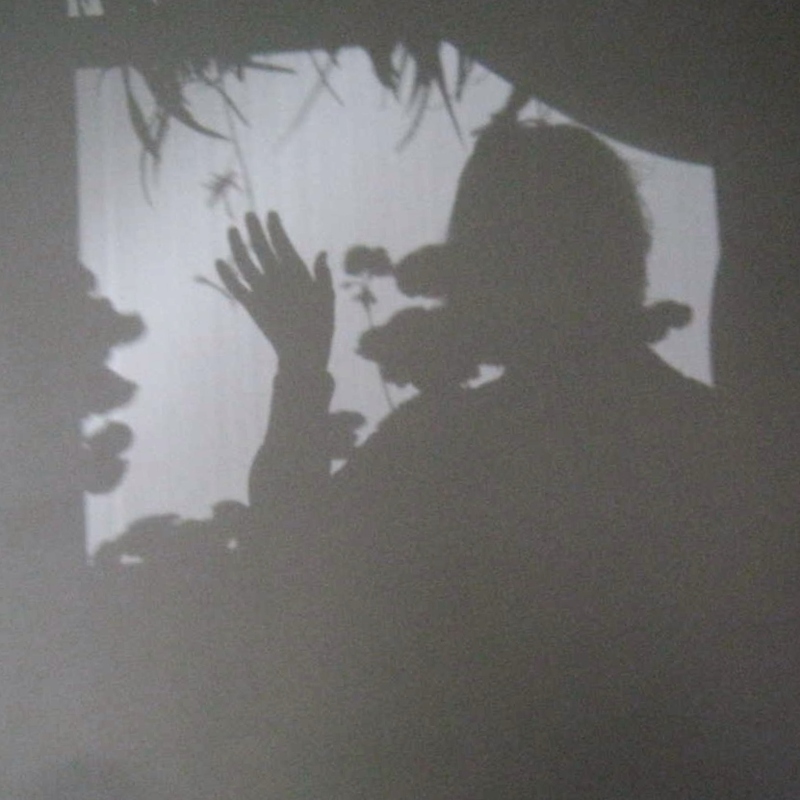 I love shadows on the walls. 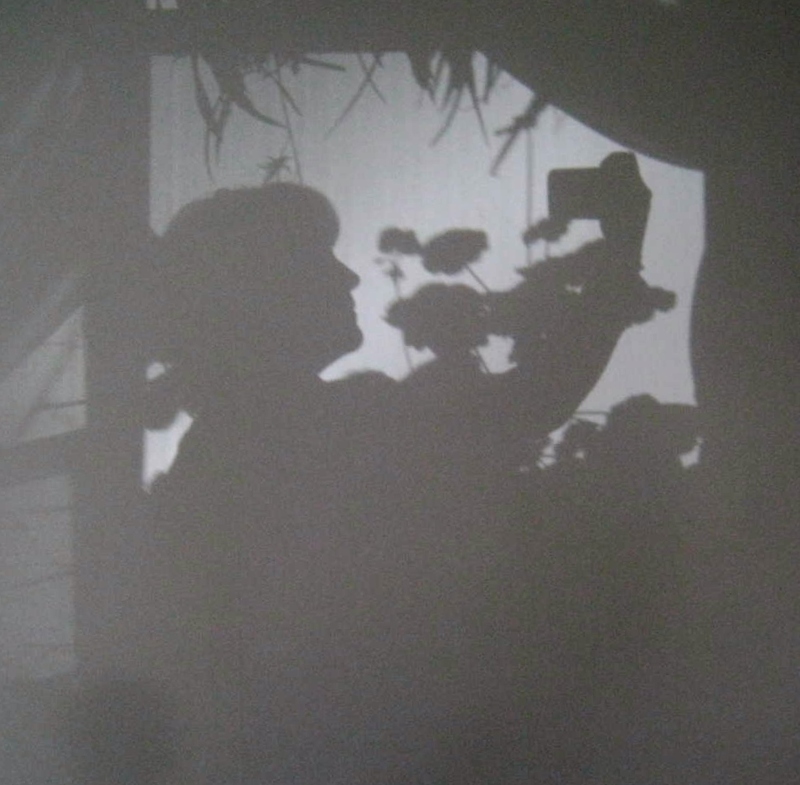 This week I wandered into an upstairs room and found my geraniums, backlit, and casting amazing shadows on the wall. Of course I had to enter into the Shadowland. Adieu for today my friends!